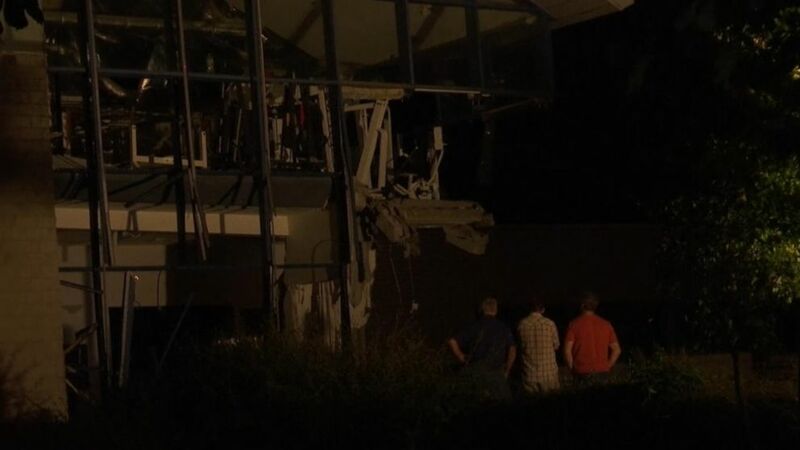 At least one person was killed and five wounded after an explosion rocked a sports center in the Belgian city of Chimay, near the French border, according to Chimay's mayor's office. Two of the wounded are in serious condition. Police told ABC News the facility was fairly empty at the time. A Belgian Crisis Center staffer told The AP early Friday that "the information that I have is that it due to an accident, probably gas. There is no link to terrorism or anything like that." The staffer could not be named under the center's rules. Windows were blown out of the two-story building, and one corner of the structure was badly damaged but there was no major collapse, the AP reported. Firefighters were still at the scene Friday morning, removing rubble and securing the building. All the people had been retrieved from the rubble, police said.